A simple Mulled Wine Recipe that’s really easy to make at home with a handful of warming spices and a little touch of rum to spice it up some more! You can make it on the stovetop really easily or warm it up in your crock pot. 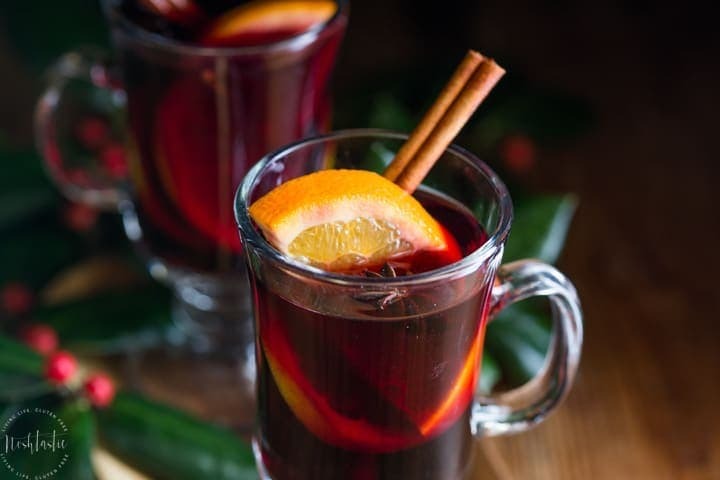 Mulled wine is simply wine, usually red, that’s been warmed up (but never boiled) with some warming winter ‘mulling’ spices such as cinnamon, cloves, nutmeg, anise, allspice, vanilla, and then added fruit and sugar. 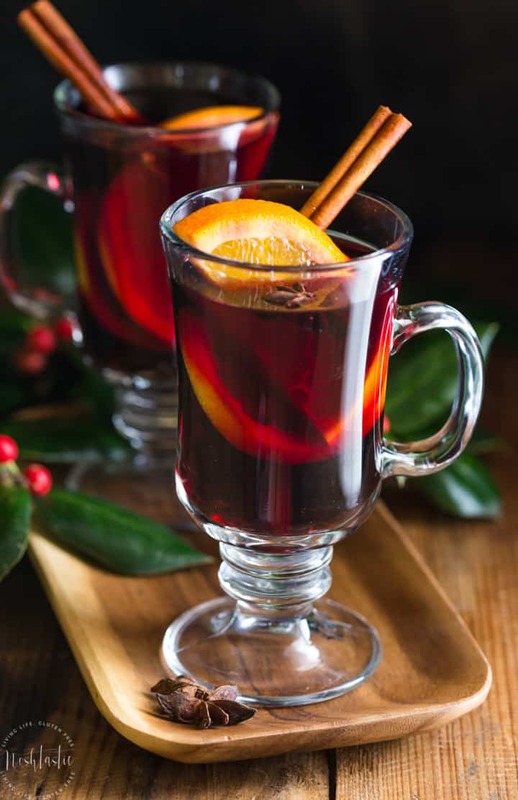 In Europe there are various versions of mulled wine that you may have heard of including Glogg which hails from Sweden, or Glühwein which is a German version of mulled wine. Sometimes other liquors are added to the red wine, in this recipe I’ve added a little rum and some Earl Grey Tea which adds a lovely mild fragrance to it. It’s really easy to make mulled wine. You simply add the red wine to the pan or slow cooker and add in the various spices, extra alcohol if the recipe calls for it, and any additional fruit. You need to warm it up to simmering point but don’t allow it to boil. If you prefer you can make mulled wine in your crockpot, it’s a great way to serve it if you’re having a party as it keeps it warm for a longer time than just leaving on the stove and there’s no risk of boiling the wine, which would be a disaster! 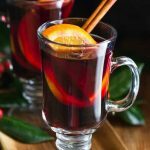 Easy mulled wine recipe you'll love! 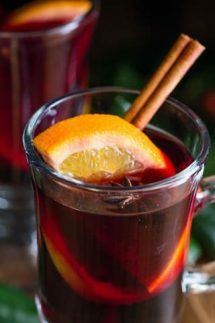 Put the red wine, rum, brewed earl grey tea, orange quarters stuck with cloves, cinnamon sticks, star anise and dark brown sugar into a pan on the stove and warm until steaming hot but not boiling. Right before it boils turn it down to the lowest heat. Serve warm into heat proof glasses. Put the red wine, rum, brewed earl grey tea, orange quarters stuck with cloves, cinnamon sticks, star anise and dark brown sugar into your slow cooker. Cook on low until fully warmed through which will take about 30 minutes to 1 hour depending on your model of slow cooker. Slightly adapted from an old Nigella Lawson cook book.